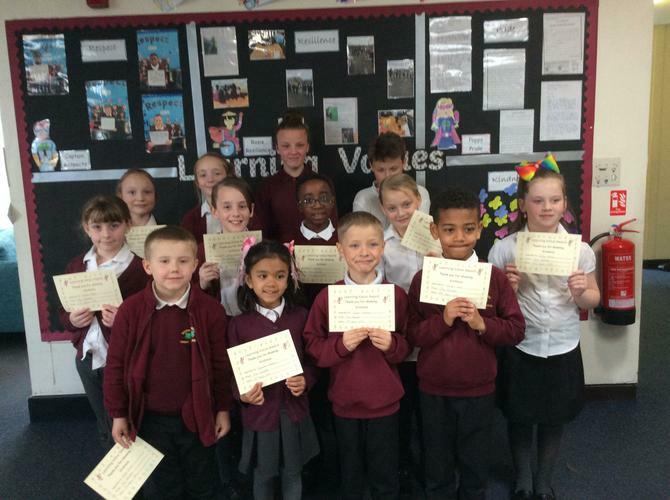 On Wednesday 3rd of April, we celebrated children who have showcased our learning value 'kindness' in the way that they conduct themselves around our school community. Parents of the children who won the kindness award were invited to school to see their children win an award at our special learning values assembly. We are very proud of all the winners- they will have a celebration with Mrs Morton and Mrs Rowlett on Friday afternoon. A picture of the winners is shown below.